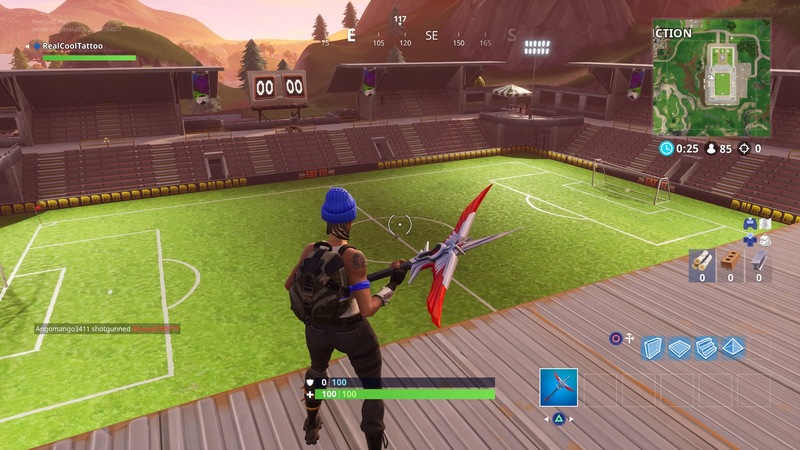 Here’s where to find the three football/soccer stadiums in Fortnite and score on different pitches. 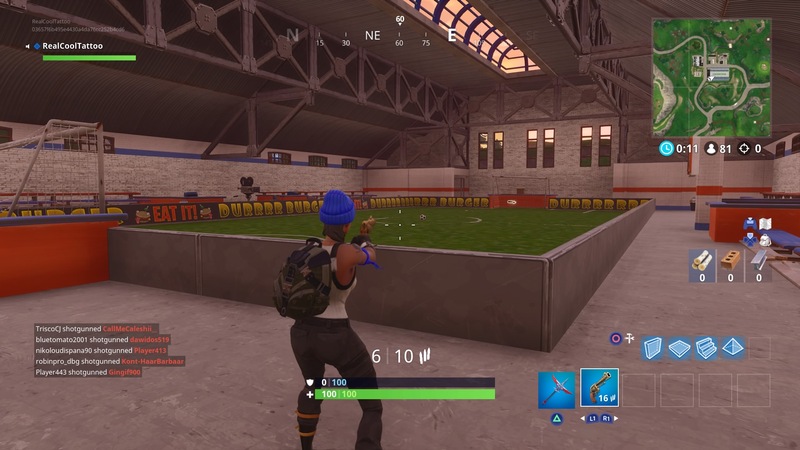 You’ve only got a couple more days until the start of Fortnite Season 5, so you’ll have to get this done quickly. This is one of the week 7 challenges in Fortnite, which earn you Battle Stars that count towards your Battle Pass progress for the season. 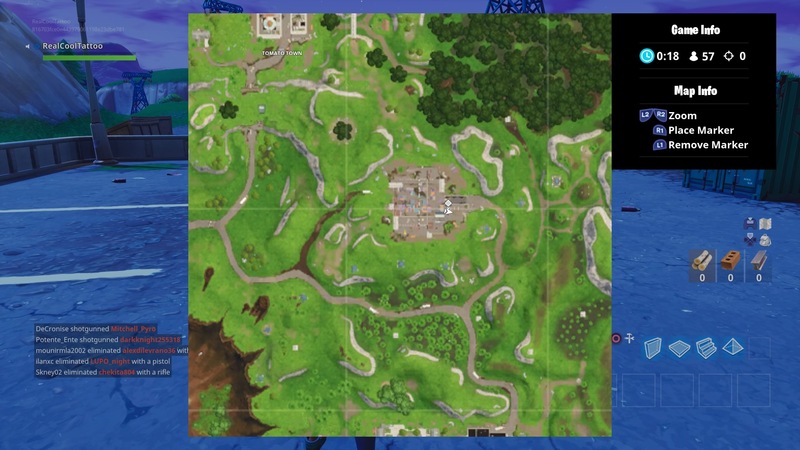 This is an interesting challenge, because it sends you all across the Fortnite map and gives you a fun and sometimes difficult task to do when you get there. 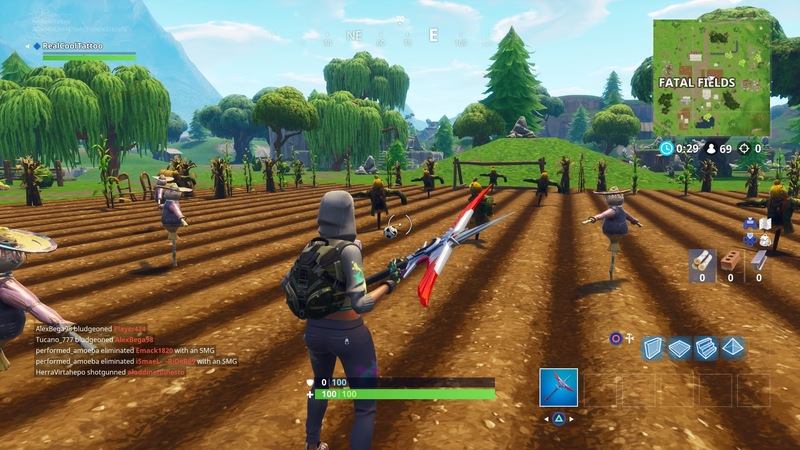 Hopefully it’ll turn out more like when we had to work together to raise the Loot Lake disco ball of few weeks ago, rather than when we had to scour the map for F-O-R-T-N-I-T-E letters and everyone and their mum was camping next to them. You’ll need to score on five of the seven pitches to complete your challenge. 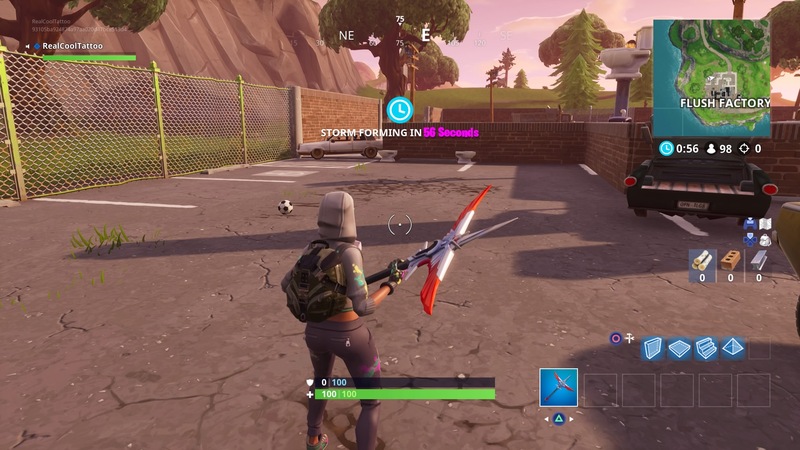 All you have to do is kick the ball in the centre of the pitch into one of the goals on either side. You’ll know when you’ve scored because the ball will burst into confetti. You can’t shoot the ball, so don’t waste your bullets. You can either head straight for the pitches and chance your luck at being the first there. 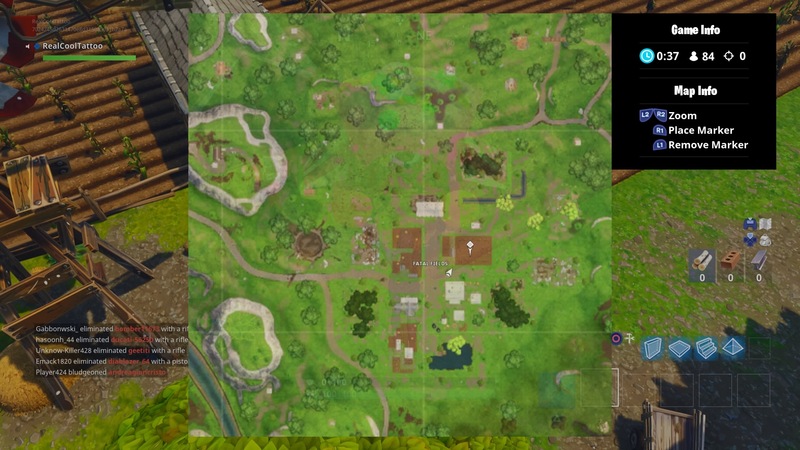 Or alternatively, you can wait until the mid-game when some of the competition has dissipated, but the storm circle isn’t keeping you from getting to where you need to. This is the biggest outdoor football pitch, and it’s new, so it’ll probably attract the most attention. 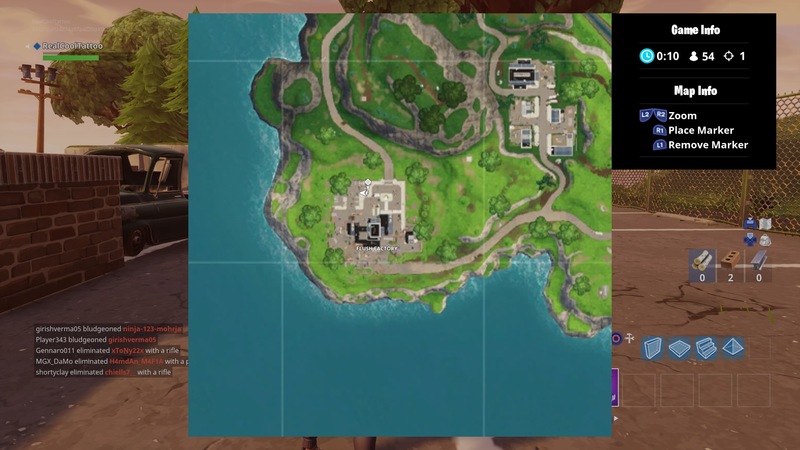 If you decide to head straight here, try to get the challenge done as quickly as possible. 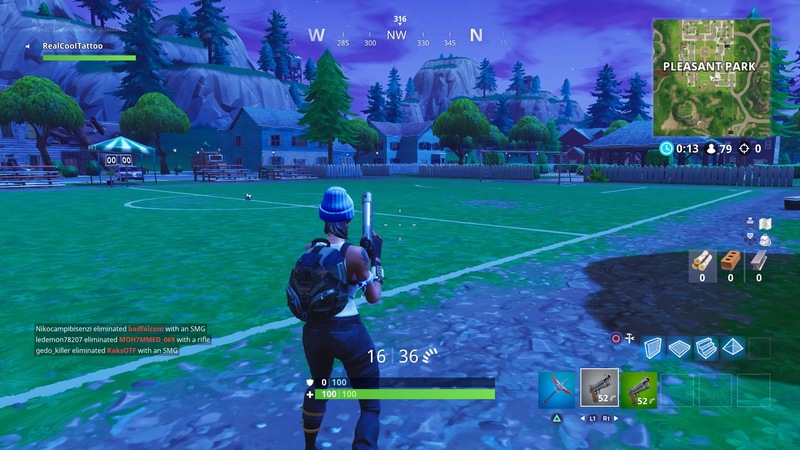 There are multiple weapon spawns around the stadium, so there will likely be campers waiting for you later on. This is a smaller pitch on much flatter terrain, so there should be fewer places for people to camp unseen. This pitch has been in the game for a while now, so it might be a bit more familiar to you. Check your corners and the bleachers as you enter. This last pitch is quite small, so it should fairly quick and easy to hit the back of the net. There are now four more secret pitches that you can find. 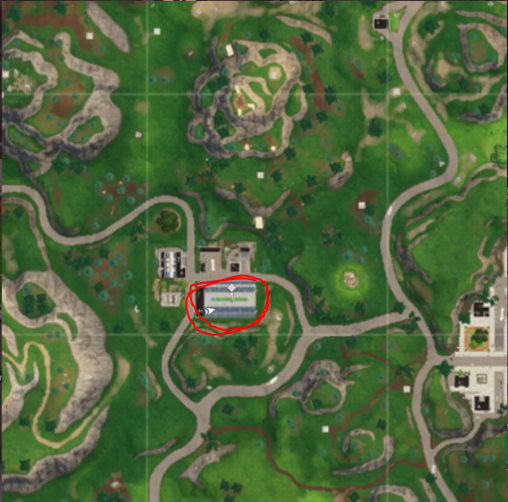 The first is in the car park on the eastern side of Flush Factory. The goal posts are toilets. 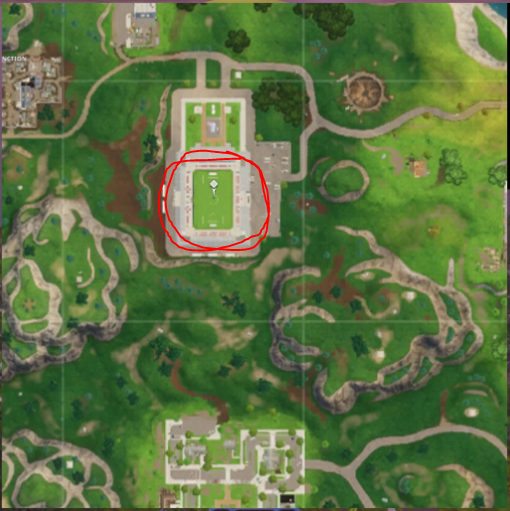 The second one is in the field in the northeast of Fatal Fields. This one’s a bit tougher because you’ve got scarecrows as defenders and a goalie. 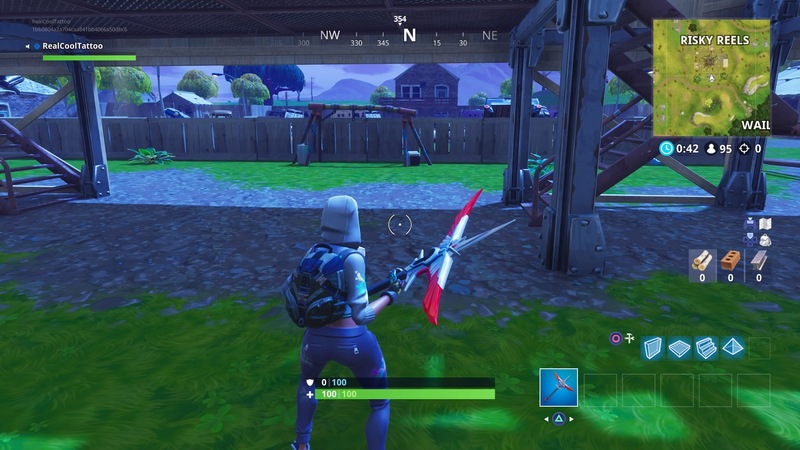 You can find the third one under the cinema screen at the south side of Risky Reels. 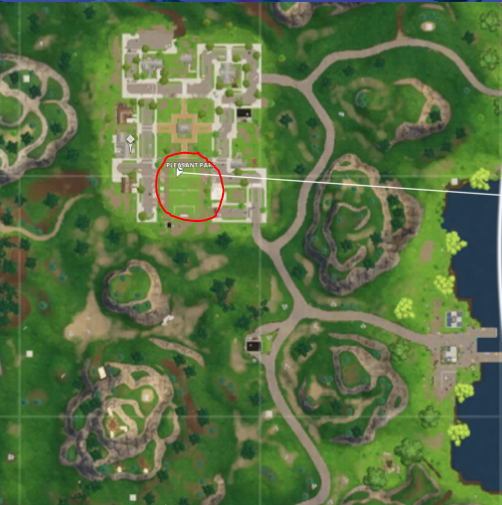 And the final secret pitch is in the container area that’s south of Tomato Town and north of Retail Row. 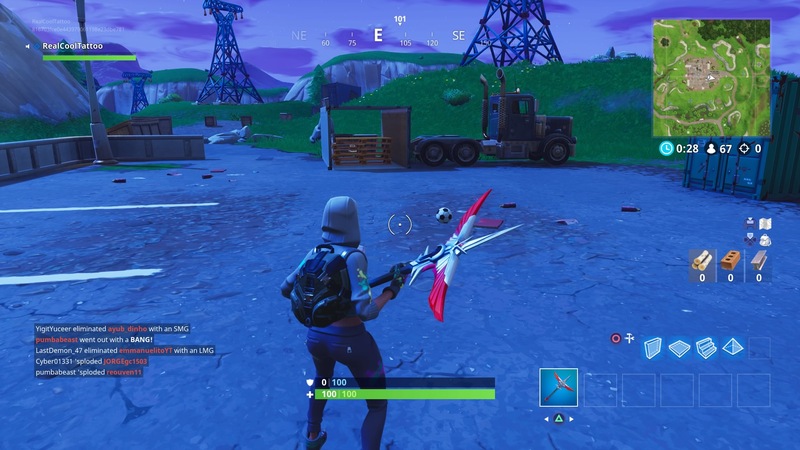 You need to kick the ball into the shipping containers on each side of the ball. The pitch is on the eastern side of the area.